Dr Tailor qualified as a medical practitioner in 1989 from Manchester University. She subsequently trained in hospitals and in the community before qualifying as a General Practitioner. As a General Practitioner, she gained vast experience in helping and understanding people’s needs and wants. In 2008 she decided to set up her own medical aesthetic clinic, health + aesthetics, in Surrey. The clinic is a well respected centre of excellence for aesthetic medicine in the area, specialising in innovative anti-ageing, injectable, laser, weight-loss, body sculpting and various other treatments. Its loyal patients appreciate and support the professional and caring team, the relaxing ambience of the clinic and their numerous awards. Dr Obagi’s products have been used at health + aesthetics for 10 years to treat acne, rosacea, melasma, photodamage, anti-ageing and to improve skin health. The ZO range is now the number one brand at health + aesthetics. Dr Tailor is passionate about achieving results that are natural, lasting and effective for all of her patients. She promotes excellence, safety and constant learning to ensure that her patients have the best experience and the most effective results. 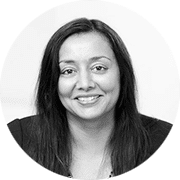 She is a full member of the British Medical Association, British College of Aesthetic Medicine and the Royal College of General Practitioners.